Steven M. Davis, M.S., M.A. is the founder of FacilitatorU.com, a virtual university offering training, tools, and resources to group facilitators, trainers, consultants, coaches, and leaders. Steve works with his clients to overcome their fear of presenting themselves, to resolve barriers to their creativity, to empower their under-performing teams, and to enhance their facilitation skills. Steve designs and delivers face to face and virtual personal and business development workshops on a variety of topics such as facilitation and collaboration, coaching, communication, facilitation skills, sustainable leadership, teleclass and virtual meeting facilitation, customer service, time/life management, career transition, and more. He writes and publishes a weekly online newsletter for group leaders called the Master Facilitator journal, now in its tenth year, read by over 5,000 thousand readers in 100 countries. He also coaches individuals and groups to align their personal and business lives with their values. sectors as a technical manager. In the early 90’s, Steve also worked as grant coordinator on an innovative work-based personal development curriculum for underrepresented students at his local community college called the Master Worker Project. This involved the design and facilitation of collaboration between business, industry, government, and education to design a curriculum with 16 workplace competencies. 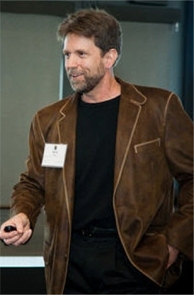 His team presented at national conferences and received the 1997 “Innovation of the Year” Award from the League for Innovation. Steve is available to provide workshops, training, coaching, talks, and consultation in meeting and facilitation skills tailored to your unique needs as well as coaching for individuals and groups.